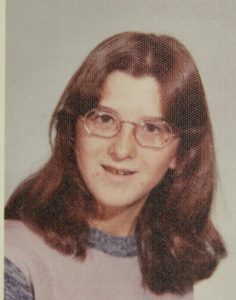 In March 1979 Holly Branagan was brutally murdered in her Bethlehem, Pennsylvania home. In September 1979 her brother was fatally injured in an explosion at his workplace. Are their deaths connected? Why wouldn’t Holly’s classmates cooperate with police? Could organized crime be responsible for Holly’s death? And Blue Apron sinks its obnoxious claws into yet ANOTHER podcast. I know sponsors help with costs, but I thought you guys were doing just fine without the ads. Hi Carmen, I don’t have a patreon nor do I charge for content, sponsors help defray the many costs of creating a podcast. Thank you for listening. I was going to congratulate you on getting a sponsor! Did they reach out to you or you to them? I always thought your podcast would get noticed and you deserved something to offset your time and efforts. Keep up the great work. Thank you! Just for November, hoping there are more good things in store next year.